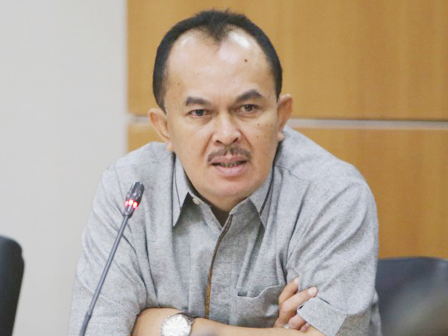 The meeting held by Jakarta DPRD Commission E yesterday along with four regional working units (SKPD), had approved the discussion results of the draft bylaw on 2017 APBD-P. Further, the discussion results would be submitted to Jakarta Banggar.
" Hopefully there will be no more correction, and it can be ratified this week"
According to Veri Younevil, Secretary of Jakarta DPRD Commission E, discussion along with Health Dept., Social Dept., Protection of Women, Children and Population Control Dept., as well as Social Bureau took place briefly, as the detailed discussion was already done. "So, today we only ask whether there is any change from the previous discussion or not. As a matter of fact, there is no change, so we decided to approve the draft and then brought to Banggar," he stated. He hoped, during Banggar meeting, it would not be much change anymore. By so, the process of budgeting discussion can be immediately ratified. "Hopefully there will be no more correction, and it can be ratified this week," he closed.